Facebook: Inexpensive for computers, Facebook, everything. Item 874aa: $28.95Can or $21.77us Brand New. mouse and keyboard without cables. 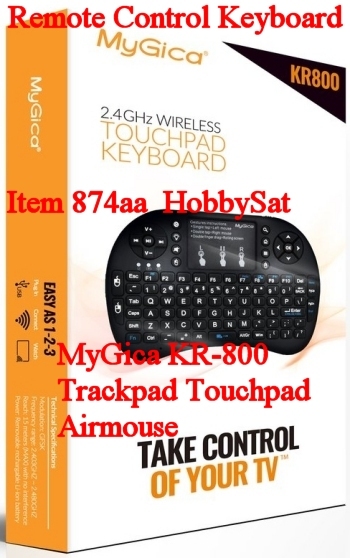 With the KR800 Keyboard remote you are able to fully control and turn on/off any MyGica Android box using its IR sensor. 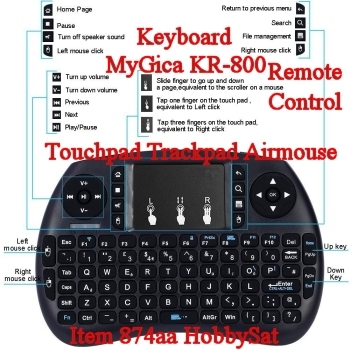 feature that illuminates all keys on your KR-800 Remote! MyGica KR-800 includes a 32 inch rechargeable USB cable. The MyGica KR-800 Wireless Gaming Remote and Keyboard is now sweeping the streets ready to dazzle! Easy As 1-2-3: Plug In USB, Connect, and Watch. 1. Turn off the KR800 power. 2. Hold the F1 button, then turn on the KR800 power. 3. When you see the yellow light flashing, release the F1 button. 4. Plug in the USB receiver, wait till the yellow light turns off and the blue light turns on. This indicates the pairing is successful. the Shift button and then press the button with white. the FN button, then press the blue colour button. • Operation Range: up to 15 meters max. See the second last picture on this page for a view of the buttons/functions. I have had a couple Mac's coffees with Pam and Jeremy from HobbySat and hope to continue. willing to go through the effort and I am glad they did! Judy Mainefield: March 10, 2017 Halifax, N.S. 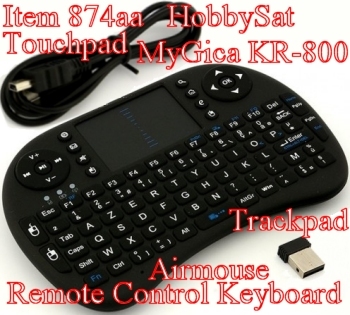 Easily navigate through XBMC or KODI with MyGica KR-800.